Tropical Africa was one of the last regions of the world to experience formal European colonialism, a process that coincided with the advent of a range of new scientific specialties and research methods. Africa as a Living Laboratory is an ambitious study of the thorny relationship between imperialism and the role of scientific expertise - environmental, medical, racial, and anthropological - in the colonization of British Africa. 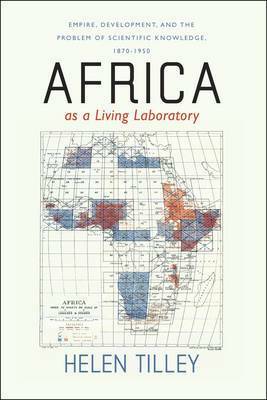 A key source for Helen Tilley's analysis is the African Research Survey, a project undertaken in the 1930s to explore how modern science was being applied to African problems. This project both embraced and recommended an interdisciplinary approach to research on Africa that, Tilley argues, underscored the heterogeneity of African environments and the interrelation of the problems being studied. While the aim of British colonialists was unquestionably to transform and modernize Africa, their efforts, Tilley contends, were often unexpectedly subverted by scientific concerns with the local. Meticulously researched and gracefully argued, Africa as a Living Laboratory transforms our understanding of imperial history, colonial development, and the role science played in both.